Do you experience canker sores or cold sores? Your mouth may be telling you something. As the weather gets colder, you’re more likely to get canker and cold sores. These two conditions are commonly mistaken for one another. Although they’re not the same, both canker sores and cold sores have similar triggers and treatments. It’s important to understand the difference between canker sores and cold sores so you can effectively treat them. But if we break it down, we see that they are two different conditions, with similar causes. Your mouth is an incredible measure of the health of your body’s immune system. Let’s take a closer look at the differences so you can find relief faster. Canker sores are small, painful lesions that develop on the soft tissues of your mouth or at the base of your gums. Canker sores, also called aphthous lesions or mouth ulcers, don’t usually appear on the outside of the mouth and they aren’t contagious. Canker sores normally heal on their own within one or two weeks. However, you should consult your dentist or doctor if you have chronically occurring canker sores or an abnormally large canker sore that doesn’t heal on its own. Having an irritated sore on sensitive parts of your mouth often causes pain while eating, drinking, and talking. The pain of an active canker sore is rarely intolerable but is often extremely annoying. There are three different classifications of canker sores: minor canker sores (the most common), major canker sores, and herpetiform canker sores. Major canker sores are the same as minor canker sores except they are larger, deeper, more painful, and take longer to heal. Herpetiform canker sores usually develop later in life and are about the size of a pinpoint. Despite the name, they’re actually not caused by the herpes virus infection. They develop in clusters ranging from 10 to 100 and sometimes they all merge together. Both major and herpetiform canker sores are rare while minor canker sores occur quite often. Certain diseases such as Celiac or HIV/AIDS have been known to provoke canker sores. Researchers assume that canker sores are caused by a combination of factors and triggers within an individual. Canker sores have no defined root cause, making it discouragingly difficult to anticipate their arrival. But you may experience a tingling or burning feeling in your mouth a day or two before one appears. Anyone can develop canker sores but females and adolescents are more prone to getting them. Avoid triggering food: Avoid foods that irritate your mouth such as, certain spices, acidic fruits, spicy food, and salty food. Eat healthily: Choose to eat a diet that contains all your necessary nutrients. Fill your plate with plenty veggies, which are fiber and phytonutrient rich. Add fat-soluble vitamins: Vitamins A, D, E, and K2 are great for boosting your immune system and helping your body naturally rid itself of both canker and cold sores. Practice excellent oral hygiene: Brush twice a day and floss at least once a day. 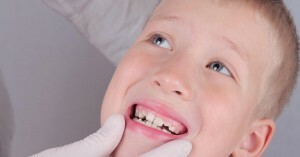 Maintain regular visits to the dentist. Manage your stress: Learn how to cope in high-stress situations by practicing meditation or listening to relaxing music. Reducing stress-levels not only prevents canker sores, but you’ll end up a little happier, too! Sleep better: your immune system’s time to replenish is when you sleep! If you suffering from day-time tiredness or poor sleep you might need some tips to improve your sleep. There are simple home remedies for canker sores that help with pain, speed up healing time, and prevention. Apply honey to your canker sore. Apply ice or something cold to your canker sore. Dab milk of magnesia on your canker sore. Rinse your mouth with a mixture of baking soda and warm water. Brush your teeth with caution and care. Most minor canker sores don’t require medical treatment. However, major canker sores and certain incidents of recurring canker sores, do require attention from a doctor. These medications only deal with the symptoms of canker sores. In certain situations, it may be necessary but remember that canker sores can be controlled through a strong immune system. Try immune system boosting techniques such as increasing your vitamin D levels before opting for strong medications. Cold sores, or fever blisters, are small fluid-filled sores that usually occur in clusters. These painful blisters often appear on the nose, lips, or anywhere around the mouth. You might feel a tingling sensation on your skin before a cold sore appears and in about two days the cold sore is developed. Later, it breaks and oozes, leaving a crust-like layer over the blister. Unfortunately, they take two to four weeks to heal, leaving you with an unattractive scab on the affected area. Tingling, itching, burning- Often, people will feel a cold sore coming on one or two days before it actually appears. Blisters- A breakout occurs and small clusters of blisters form on various areas of the face. Crusting, scabbing, oozing- Cold sores may merge and burst, which leaves shallow open sores that crust over. First-time outbreaks can involve other symptoms such as headache, swollen lymph nodes, muscle aches, and a sore throat. A cold sore is a common viral infection caused by the herpes simplex virus (HSV). There are two types of HSV, HSV-1 causes cold sores and HSV-2 causes genital herpes. Both of these viruses are extremely contagious, especially when the blisters are open. Cold sores are the product of a common viral infection, not related to the common cold as the name suggests. Once you acquire HSV-1, you’ll always be susceptible to getting cold sores for the rest of your life. However, some people are more prone to them than others and your environment can also play a part in triggering cold sores. It’s nearly impossible not to obtain HSV-1 – it’s estimated that 90 percent of adults test positive for the cold sore virus, even if they’ve never shown signs of an outbreak. Most cold sores are painful and the healing process lingers. In the meantime, you can practice these holistic techniques to ease the pain and speed up healing time. No hands: don’t touch your cold sore as it can dry it out or cause a bacterial infection. Apply something cold: an ice cube will ease the pain and reduce swelling. Licorice extract: mix petroleum jelly with this natural extract and apply to the area for a speedy recovery. Aloe Vera: this soothes inflammation while also moisturizing the cold sore. Take your Vitamins: Vitamin-E aids the body with skin cell production and Vitamin-C can boost levels of white cells, which fight off viral infections. Take it easy: take small bites when eating and avoid any aggressive movements that could break open your cold sore. Getting a cold sore is very common and although they’re annoying, they’re usually tolerable. Over the counter medications can aid in healing and provide pain relief. If your cold sores are unbearably painful or recurring, consult a doctor for medical advice. In extreme cases, your doctor may recommend a prescription medication that attempts to fight the virus. To tell the difference between a canker sore and a cold sore, there are certain attributes to look for. Canker sores appear on the soft tissues inside the mouth, while a cold sore usually shows up on the outside of the mouth. A canker sore is an ulcer and a cold sore is a blister. Also, canker sores aren’t contagious but cold sores are very contagious. It’s essential to analyze and identify your condition in order to have the best treatment possible. Canker and cold sores have characteristics that distinguish one from the other. Finding out whether you have a canker sore or a cold sore is the first step towards a more effective treatment. But remember, both canker sores and cold sores are two different conditions that signal your immune system is low. Your immune system is ultimately controlled by your diet. 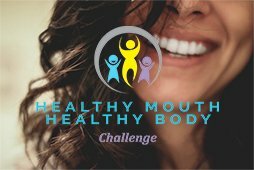 In The Dental Diet I’ll show you how to manage your mouth and body for full-body health and prevent sickness! Share this article with someone who could benefit from learning more about canker and cold sores! Want to know more? 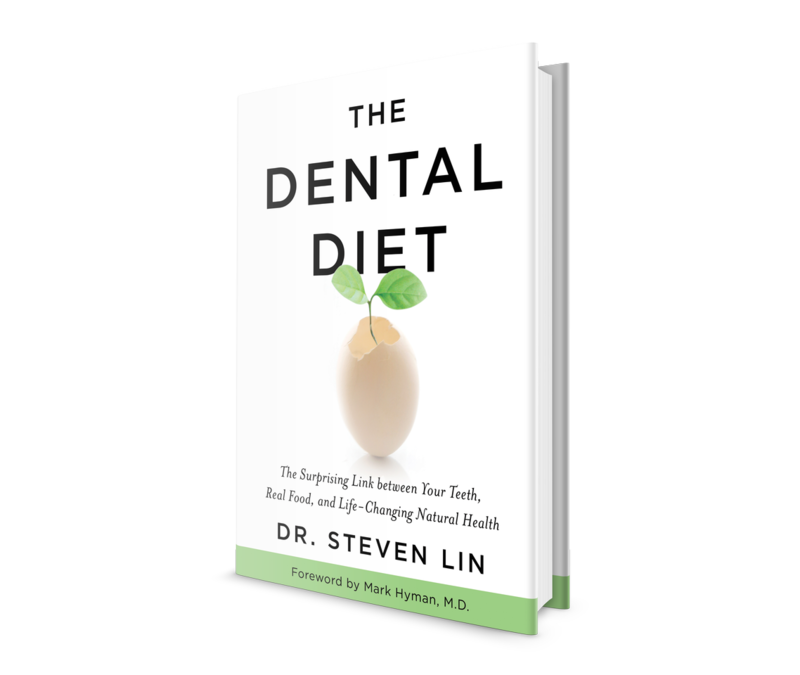 Dr. Steven Lin’s book, The Dental Diet, is available to order today. An exploration of ancestral medicine, the human microbiome and epigenetics it’s a complete guide to the mouth-body connection. Take the journey and the 40-day delicious food program for life-changing oral and whole health. It was really informative how you said that cold sores are from the viral infection HSV-1 and that they are extremely contagious, especially if the blisters are open. I guess the reason why my sister acquired it was because she was exposed to her friend who has one. Anyway, since I do not think it will be going away anytime soon, I will have to research what I can use to alleviate the pain. Thank you for this. You’re welcome Tammy, we’re glad this helped. From 30 years of experience, you can absolutely stop a cold sore from occurring by noticing in the days before when your lips turn red (or have a red ring around the edge of the lips) and they feel dry (as if you have been in wind whether you have or not). At this time take 1000mg of Vit C (preferably lypo-spheric, which gives the most powerful delivery to the body) plus L-lysine (an amino acid that builds proteins) morning and night. Both are available at most pharmacies or health stores. Keep taking for a few days and use Blistex lip conditioner. This preventative method is better than any curative product I’ve ever tried on the market, which do nothing to stop the outbreak. In my experience also, nothing beats outbreaks like loading up on L-lysine supplements and keeping a clean, plant-based diet, with close to no added salts. I also found a L-lysine topical balm at my local GNC, so I apply that directly on the cold sore as well. Even though by doing this it does keep the sore moist, and people recommend drying it out, I figure any extra L-lysine I can get is good!! If nasal strips help you, these will help more. Completely stopped my snoring. There are many causes of snoring, and if yours is a constricted nasal passage, these will help. I use the snore lab app and it records your snoring throughout the night. Now all I hear when I play it back is breathing. Amazing! I definitely feel more refreshed in the mornings now. I will say there is another option that is half the price on amazon, but these were still completely worth the $20. Very great information! You REALLY do learn something everyday! This article undoubtedly helped me to comprehend the difference between the two and I can now distinguish an canker sore and cold sore apart. Thank you! 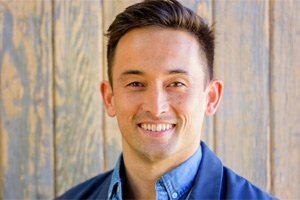 We’re glad this article helped! Thank you so much!